Priory College is a member of the North Down and Ards Learning Community (NDALC) which is one of 29 learning communities across Northern Ireland. The community is made up of 16 post primary schools and SERC (South Eastern Regional College). All the schools and SERC work in partnership to provide a curriculum that will meet the needs of our students. The community provides students aged 14-16 access to a wider choice of academic, applied and vocational courses. NDALC came about to enable schools within the North Down and Ards area to collaborate in order to be able to meet the requirements of the Entitlement Framework set out by the Department of Education. 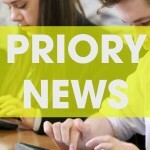 Priory Integrated College is an established member of NDALC and makes a significant contribution to its work. One area in which Priory Integrated College has benefited from NDALC is the access it has given our students to a much wider range of courses. 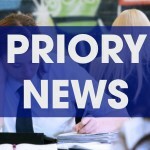 Priory Integrated College has a growing sixth form and we pride ourselves in offering a range of courses to our students both within their home school and in collaboration with schools within our Area Learning Community. We offer a wide range of Post 16 courses catering for the needs of our students. 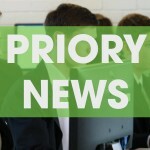 Currently we have strong links with Sullivan Upper School, where over 40 students attend Priory Integrated College to study AS and A Level Applied Business. Priory Integrated College students attend Sullivan Upper for subjects including Art, Moving Image, History, Home Economics and Technology. Strong links are also in place with St Columbanus College for BTEC Sport, where the course is delivered by both colleges.